Your opponent's Active Pokémon's Weakness is now water. 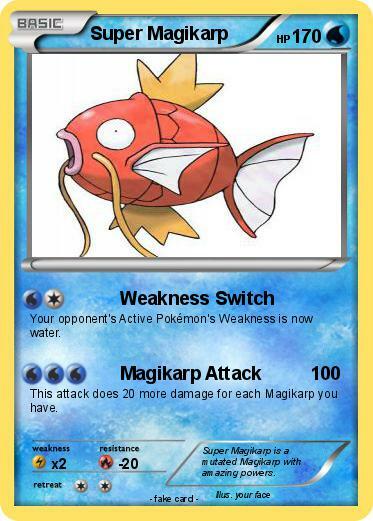 This attack does 20 more damage for each Magikarp you have. Comments : Super Magikarp is a mutated Magikarp with amazing powers.